I read this book really fast, fitting in quick little reading sessions as often as I could because I enjoyed this book so much. Although You Should Have Known was fairly lengthy, I raced through its pages, reading it in less than a week. It’s a thriller for sure, and although in my last post I promised not to read a book with a gory murder in it, this book does include one, although it’s not the crux of the story. What’s so fascinating is not the way the crime unravels in this story, but the way a character does. Grace Reinhart Sachs is a successful mother, therapist, and wife. She lives an upper middle class life that would be the envy of many American mothers, and is in the midst of publicizing her upcoming book when we meet her. However, this idyllic life does not last long (dum dum dummmmmm). 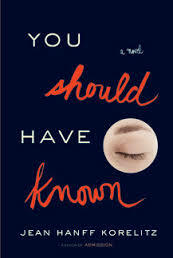 You Should Have Known is not only the title of this book, it’s the title of the book that Grace is about to release in the story, also called You Should Have Known, but with the subtitle: Why Women Fail to Hear What the Men in Their Lives are Telling Them. Doesn’t her book just sound like a book that’s just waiting to be disapproved and criticized? Although Grace doesn’t come across as self-righteous in the beginning, it’s this belief that the woman can somehow be blamed for not marrying the right man that ultimately leads to the downfall that Grace experiences. Not because she herself marries the wrong man, but because she has the belief that you can somehow ‘know’ a person, and that if you’ve been married to someone for 20 plus years, they can no longer surprise you. She spends a good portion of the book in denial, quite frankly. Not surprisingly, things are not what they seem in this book, and information that you and Grace take as fact later turn out to be just one version of a story with many perspectives. Very similar to the novels Gone Girl and Mother Mother, the twists in this book are spectacular, and although this a very literary book with a significant amount of introspection and soul-searching, it’s a page-turner nonetheless. In my mind, the most interesting aspect to this book was the exploration of single woman, and that moment when a woman decides they have found ‘the one’. As a therapist, Grace warns her female patients that women frequently look past their potential mate’s weaknesses to convince themselves that their man is actually ‘husband material’. The saying “Love is blind” comes to mind quite a bit throughout this book. 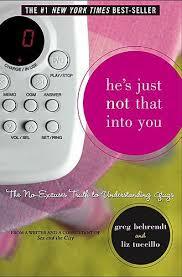 I doubt I’m the first one to draw this connection, but the advice that Grace extolls in her therapy sessions reminds me of the book He’s Just Not that Into You, which was published in 2006 and received rave reviews everywhere. Anyone else remember this book? Anyone???? It was given to me as a gift, and I remember promising myself to never become one of those sad women who waits by the phone for their date to call them back. But I want to draw the connection between these two books because they focus on the mistakes that women make, and the lies they tell themselves to ensure their relationships lasts, or that they even have a relationship at all. Interestingly enough, one book was written by a man, and the other a woman, so go figure! Women’s roles have been on my mind quite a bit lately-I’ve probably been watching too many Upworthy videos, but still, it’s something I found quite striking in this book, mainly because it has such real-life implications. I didn’t mean for that to sound quite so ominous, but there you have it. 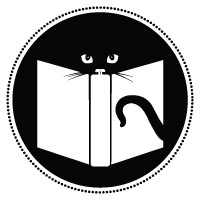 Next Next post: Robert Kroetsch City of Edmonton Book Awards-Shortlist Announced!